The Xerox WorkCentre WC7535 Multifunction Printer will help you achieve high-impact color documents that impress your customers! The Xerox WorkCentre WC7535 Multifunction Printer is designed to give you the reliable operation you demand, with a value-packed lineup of standard features and functions. Holds up to 4,800 sheets of paper at once! Xerox thinks about you when they are designing their copiers. They provide features that will reduce your outsourcing costs because you will have the ability to create even more things than ever with their copiers. You can create all of your brochures and booklets yourself instead of hiring a company to do it for you. Xerox also makes sure that your documents stay safe. You can use Secure Print to set up who can see files so that you do not share files with anyone you do not want to share them with. You’ll spend less time having to call support because most of the time you’re able to diagnose the problem yourself with our troubleshooting feature and you’ll also have fewer problems because it’s easier to use and customize to your needs. 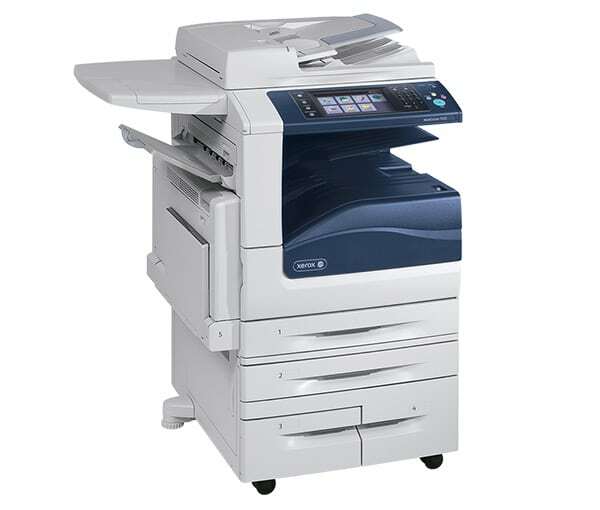 If you’re ready to purchase your Xerox copier, give Copier Chicago a call today and we can help you get started!